Contains two great works by Orage that are invaluable resources for students on the path of self-development. Students of Gurdjieff and Ouspensky will enjoy this special collection. 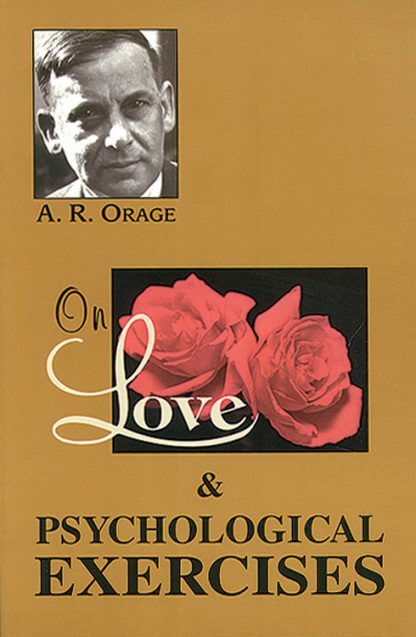 On Love includes "Talks with Katherine Mansfield at Fontainebleau" and aphorisms given to Orage's pupils who were taught Gurdjieff's methods and system from 1924 to 1930. Psychological Exercises presents over 200 exercises to increase the flexibility and scope of the mind.